Reigning champions Chhinga Veng FC will have a chance to retain extend their reign at the top of Mizoram after sealing their place in the finals with a 2-0 aggregate victory over two time champions Chanmari FC. The league leaders had beaten their opponents one-nil in the first leg of the last four earlier and came out victors again last night with the same scoreline. They will look to make it two league titles in a row when they face the winner of the other semi-final in which twice winners Aizawl FC have a 2-1 lead. The match started off with a bang as Chhinga Veng FC took the lead after just 90 seconds from the start. Talisman MS Dawngliana set himself up for an ambitious shot from the right hand side which took a deflection off Chanmari defender C. Lalmuanawma and found its way into the net. Chanmari FC responded soon after with a period of offence where Vanlalbiaa Chhangte and Lalrintluanga were both denied by the post on separate occasions. Chhinga Veng also came close to finding the net again but MS Dawngliana could only fire inches wide after Lalromawia had put him through. 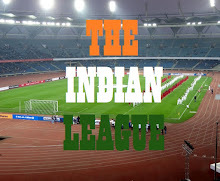 The introduction of Laldampuia and MC Malsawmzuala added more attacking impetus to Chanmari FC as they went all out to change their fate. The move almost paid dividends soon after as Laldampuia broke free to set up Lalnunzama but the young forward could not finish his chance. Another opportunity was wasted by Chanmari FC when MC Malsawmzuala was presented a golden chance by C. Lalmuanawma but the substitute's header went just wide of the goal. Chhinga Veng FC had a late foray into the goal but forward Gatch Arthur Diomande headed straight into goalkeeper MS Dawngliana from Dawngtea's cross. 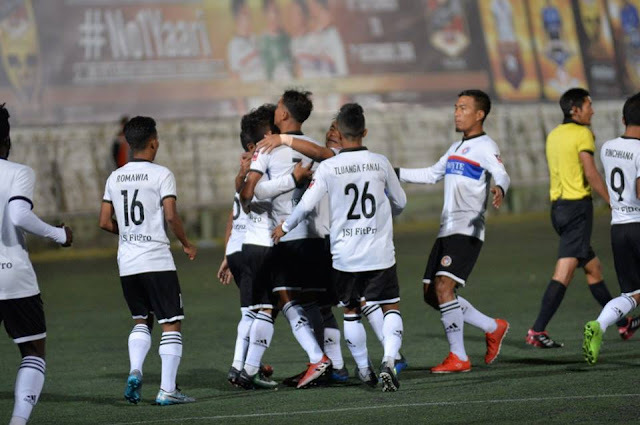 Time ran out for Chanmari FC soon after and Chhinga Veng FC now lie in wait for the outcome of the semi-final second leg clash between Aizawl FC and Mizoram Police to be played on the evening of December 1.